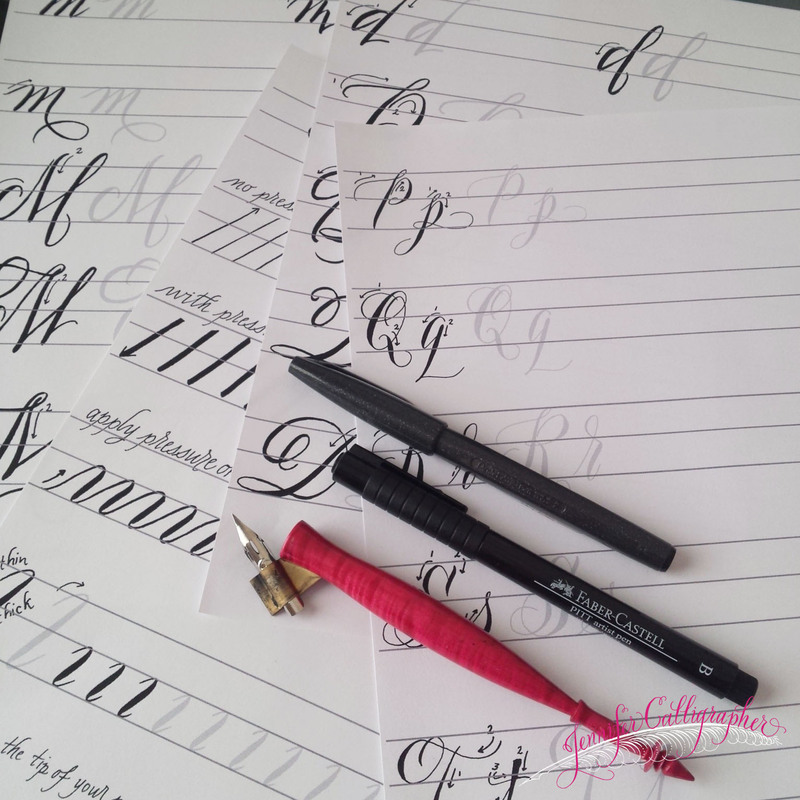 I’m so excited to have a new calligraphy course to offer! This course has been a dream of mine, and it’s a happy thing to have it come together. I plan to offer it through email, beginning JANUARY 2nd, 2017! 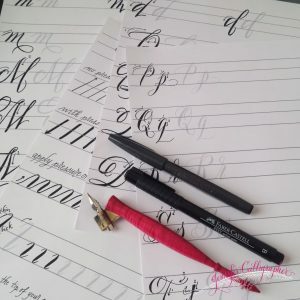 It is also available on my Etsy shop (to purchase and download).Over 50 pages total of brush pen marker instruction, as well as pointed pen, plus warm-ups and a fun collection of words to study and practice. All study pages are PDF. Students will need to print them. The course comes with a list of recommended supplies and detailed help for beginning with the pointed pen. 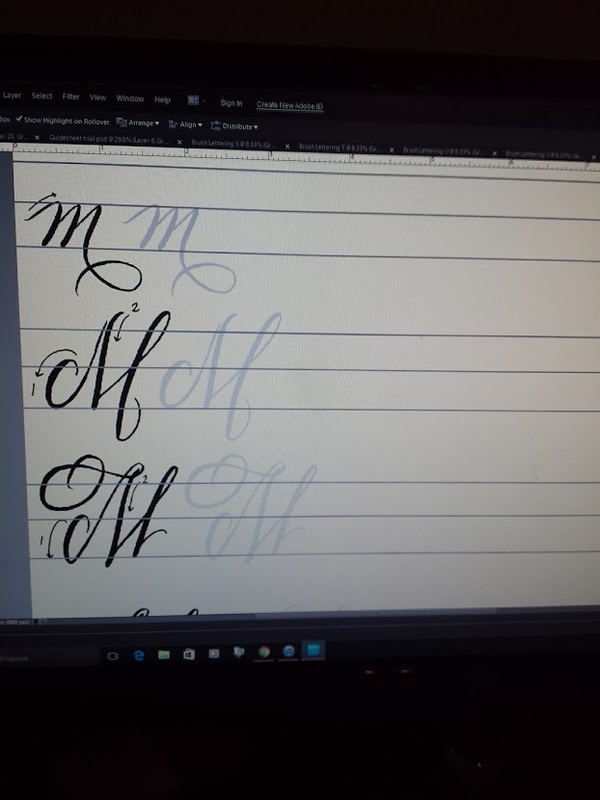 The style of calligraphy is my own, a graceful and contemporary style. 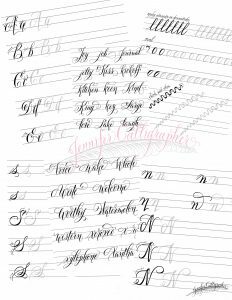 I have studied traditional pointed pen styles of Spencerian and Copperplate under Master Penmen Michael Sull, Pat Blair, Harvest Crittenden, and Jake Weidmann. 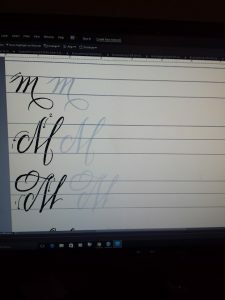 Through over 15 years of study, I’ve developed my own style 🙂 I believe that modern calligraphy script needs to be legible, so you will find that my lettering is contemporary but still holds to traditional roots. 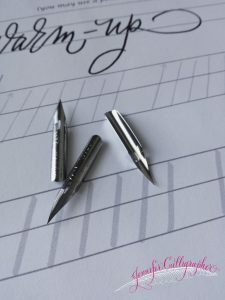 As always, I highly recommend studying traditional calligraphy from the penmen of yesteryear and recommend IAMPETH for those needing a place to start. Please send me an email (linked to on the top right of my webpage) for more info. This entry was posted in Calligraphy, Calligraphy Class, Practice Makes Perfect. Bookmark the permalink.